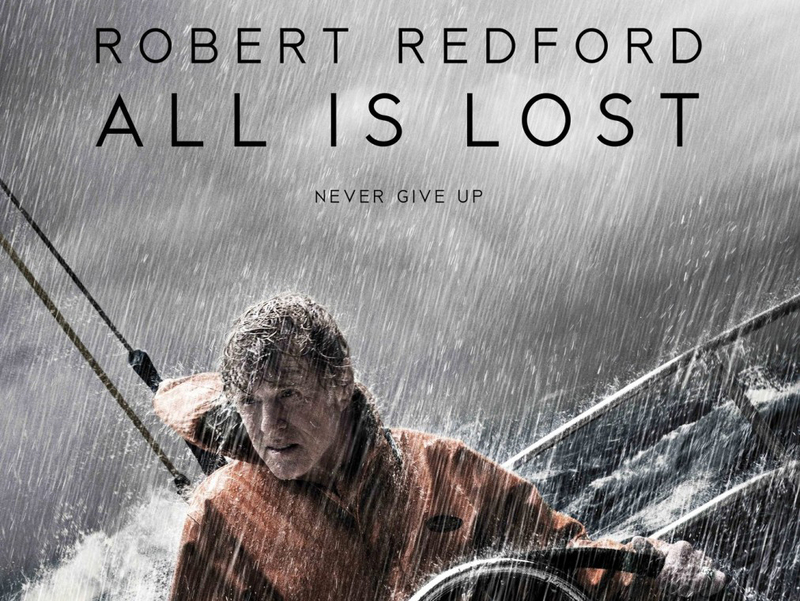 All Is Lost – Did You See That One? A collision with a rogue shipping container has left our man (Redford) stranded at sea. Now he’s faced with the daunting challenge of surviving alone. This dramatic film was written and directed by J.C. Chandor (Margin Call). The lone actor in the film is the talented Robert Redford (Captain America: The Winter Soldier). This story is an interesting take on survival at sea. Unlike Cast Away, this movie seems to work on emotion alone, with almost no dialogue throughout the movie. The story is a work of fiction, but it also draws from the experiences of Steven Callahan. He was lost at sea for 76 days after striking a shipping container with his yacht. While the similarities are few, it’s important to note the contribution. The action written for this film is unique and often draining to view. The lack of dialogue accentuates the solitude of being lost at sea, as well as the despair that might come with it. Unfortunately, this movie also seems to lack in a real emotional connection. The character, our man, seems to be one-dimensional. While the real drama comes from his struggle, I think this one misses the mark due to his lack of personality. Despite some issues I had with the plot, this was a pretty interesting story. The acting by Robert Redford is pretty great. Despite the lack of dialogue he manages to communicate a wealth of information and emotion. It’s an interesting role that only could’ve worked with a true talent like Redford. The role was also physically demanding, and definitely pushed the 77 year-old actor pretty far. Despite the issues I have with the story, Redford’s performance is definitely worth watching. The visuals and the sound in this movie are pretty darn great. The filming came together thanks to Frank G. DeMarco and Peter Zuccarini. The pair worked together to create underwater and above water visuals that are powerful and beautiful. The digital work done to complete the visuals is also really great. From a sound perspective, the score really stands out. The music, composed by Alex Ebert (A Most Violent Year), won a Golden Globe. From the technical side of things, this is a pretty good film. This is an interesting movie that is likely to bother anyone who actually knows sailing. Otherwise, this is a good drama that fans of Redford definitely need to see. I would also suggest this to anyone who loves emotional dramas. I give this one 3.6 out of 5 stars. It has Robert Redford. Where was the political intrigue at? I found it to be quite boring and just was waiting for it to finally end. I think that in my review I wrote there was a moment he starts swearing and that was exactly how I felt about the film. The audience I saw it with even laughed at the ending, so was not alone in feeling that I guess (and this was during a festival). I want bored, although I can see why people might have been. Redford was so great here, it’s a total surprise he didn’t get nominated. Guess it was just too tough of a field last year. Good review. Redford was good, but he moved so slowly at times. It was a little maddening. He’s a great actor though, and he definitely made the film. Thanks for the comment! This film was a perfect showcase for Redford’s talents. Not many actors can achieve what he managed here. Quite a shame he didnt get a nomination. Even if the story was simple, the ability to act without dialogue for so long shows how powerful this movie and Redford are. Great points. Thanks for checking out the review. Redford is great. Pingback: A Most Violent Year | Did You See That One? Pingback: The 2014 Academy Awards – Did You See That One?